If you’re not happy with the colour of your teeth, why not have them lightened? Whether it’s coffee, red wine, smoking or just the effect of time you can instantly reverse the signs of ageing with a whiter younger smile. You will notice the difference immediately and so will everyone else! A custom made tray similar to a sports guard only thinner is moulded to fit the shape of your mouth. When worn for a few hours a day with the whitening gel, noticeable results are seen generally within a few days to a couple weeks. Results vary from individual to individual and it is best to check with your dentist as certain factors can interfere with the teeth whitening process. 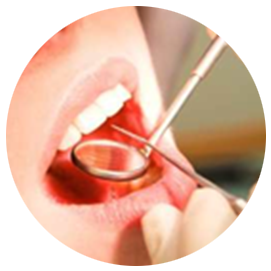 Factors involved include the intensity of the stains, whether or not you have fillings or crowns on your front teeth as well as what may have caused the stains. Tooth whitening can really work like magic and the teeth whitening gel used does not harm or weaken your tooth enamel. A top up may be needed every one or two years but generally, the effect is relatively permanent. The British Dental Association puts patient safety first by recognising the importance of examination by a dentist before whitening treatments are provided. Trading Standards Officers, now have a clear indication that they should pursue non-dentists who supply whitening products. Union Street Dental Care welcomes this announcement. Patients safety is our ultimate aim- do not allow a non-dental professional to provide tooth whitening. Only dentists, dental hygienists and dental therapists (if trained and competent) should undertake tooth whitening. Kits sold over the counter are not as effective as the gel used is not as concentrated, also some kits contain mild acids that can be abrasive and could be severely harmful to teeth and gums. You should always consult your dental practice as your hygienist could conduct a plaque control appointment to ensure your gums are healthy before whitening your teeth.